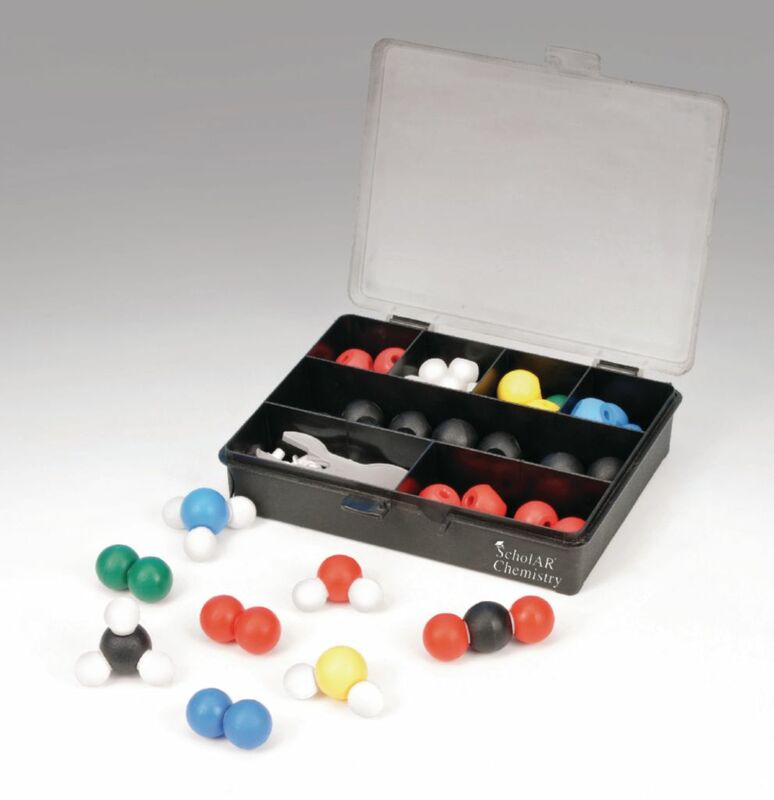 Basic principles of atomic structure and bonding are brought to life with this colorful, hands–on set, perfect for chemistry demonstrations and practice at the middle school level. Includes 37 color–coded spheres representing core elements of hydrogen, carbon, oxygen, nitrogen, chlorine and sulfur. Each sphere contains holes for inserting links that represent chemical bonds, including 26 short white links with link remover tool. Spheres range in diameter from 15mm to 22mm.